In the Braga District, Vila Nova de Famalicão is an unpretentious working town. There may not be many show-stopping sights, but the town makes up for this with enigmatic medieval churches, the homes of famous historical figures and also museums that shed light on the town’s industrial past. And for day trips, it couldn’t be easier to reach cities like Braga and Guimarães, or the resorts on the coast. The performance venue in Vila Nova de Famalicão, the Casa das Artes has an envied reputation, and the town also organises a multitude of events all year, with a Carnival in late winter as bizarre as it is fun. 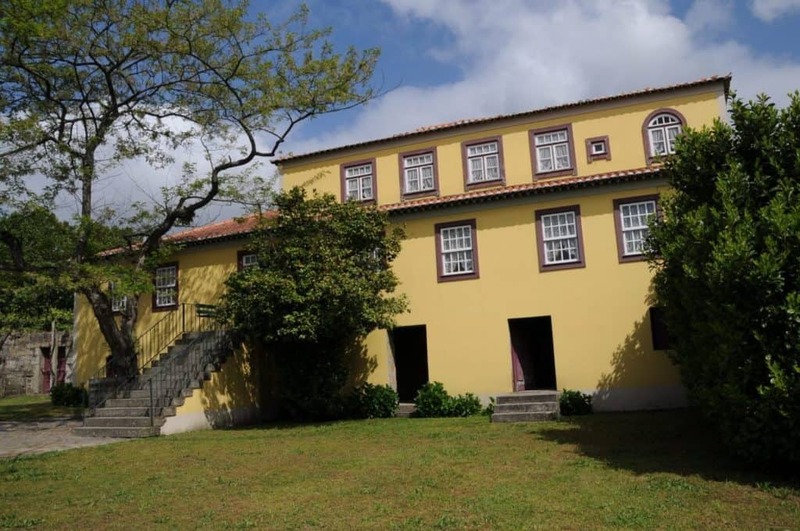 You can investigate a riveting period of Portugal’s history at this museum in the 19th-century Palacete Barão de Trovisqueira. The galleries are dedicated to the period from 1835 to 1944, and the First Republic in particular. Bernardino Machado was its third and eight president, and Portugal’s last democratic leader before it adopted a dictatorship in 1926. 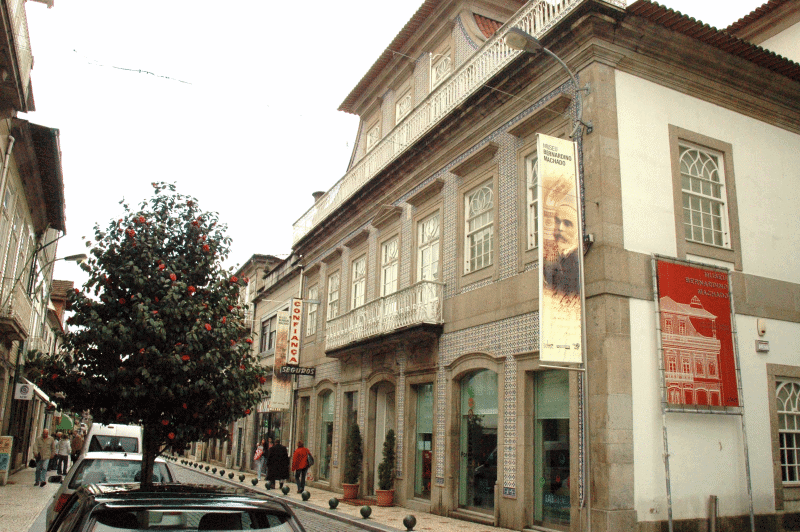 He grew up in Vila Nova de Famalicão, and this museum opened in his honour in 2001. There are original copies of documents like photographs, letters and diplomas, as well as monographs, furniture, personal effects, decorative arts and paintings. The adored 19th-century writer Camilo Castelo Branco lived at this house on and off from 1863 until his death in 1890. It’s a fine building, put up at the start of the 19th century by Pinheiro Alves, who made his fortune in Brazil. After he died, Castelo Branco moved in as he was in a long relationship with Pinheiro Alves’ ex-wife, Ana Plácido who inherited the property through her son. Castelo Branco wrote a large body of novels, plays and essays here, and the house is still full of his possessions: There’s furniture, everyday utensils, 787 books making up his private library, personal correspondence, press clippings, as well as more than 1000 pieces of decoration, be it painting, ceramics or sculpture. This church took shape in the 1200s and was part of a monastery for the Knights Templar. From the outside it looks quite sombre, but the church has a lot more going for it than the facade makes it seem. The nave has elements of both Romanesque and Gothic architecture, with coffered wooden ceilings, walls lined with azulejos de tapete (carpet tiles), an ogival triumphal arch and there’s also Baroque gilded woodcarving in the main chapel. Most absorbing of all are the capitals supporting the arch; these are medieval and depict birds drinking from a chalice or devouring prey, as well as geometric and vegetal patterns. Now defunct as a religious building, this former monastery is totally restored and used as a space for functions on weekends. But you can still stop by for a visit during the week. And you’ll be justified, as you’ll get to see Romanesque, Gothic, Mannerist, Baroque and Rococo design all in one place. There’s a spectacular organ from the 1700s, as well as traces from the monastery’s foundation in the 1100s, including blind arches with sculpted capitals in the main chapel. You can also find a cloister with a doric colonnade, and lots of parkland with beech, oak and acacia trees containing stonework from a lost 16th-century garden. 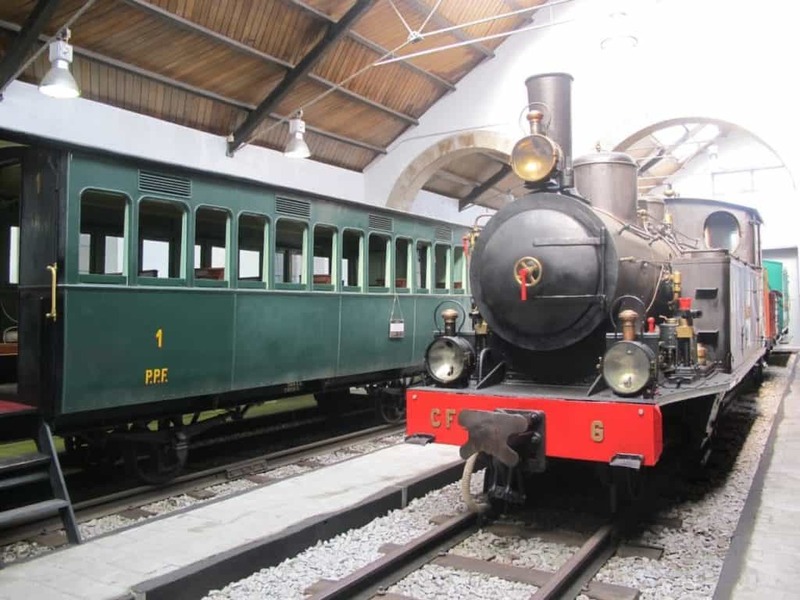 This railway museum opened in the old workshops of the “Companhia dos Caminhos de Ferro de Guimarães”, which was in business from 1883 to 1927. If you’re into industrial archaeology, this will be one for you, with equipment and tools from 1875 to 1965 collected in six different countries. Kids will be most excited by the four steam locomotives, and there are also four preserved railway carriages that you can enter. You can also browse tools, vintage signs, old handcars and an antique model train set. 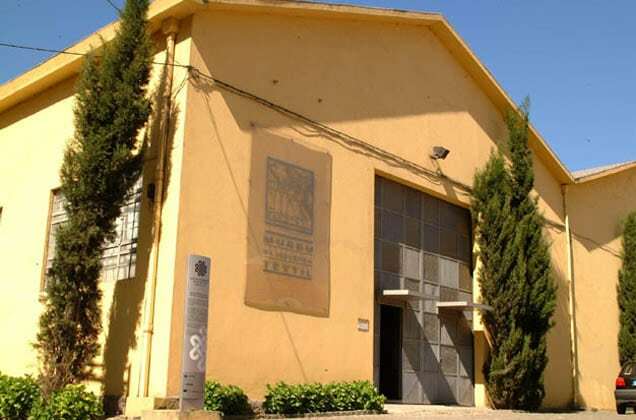 The industrial age is also the focus of this museum, which tracks the evolution of Vila Nova de Famalicão’s cloth-making craft. The displays are chronological, and you’ll go back to the village roots of local textile-manufacture before witnessing the technical and social upheaval of the industrial period. Many pieces of machinery from this time are on show, and a couple are still in working order, demonstrating weaving, spinning and finishing techniques. Textiles remain part of the town’s economy, so there’s also a space dedicated to the future the textile industry, and the social and economic challenges it faces. 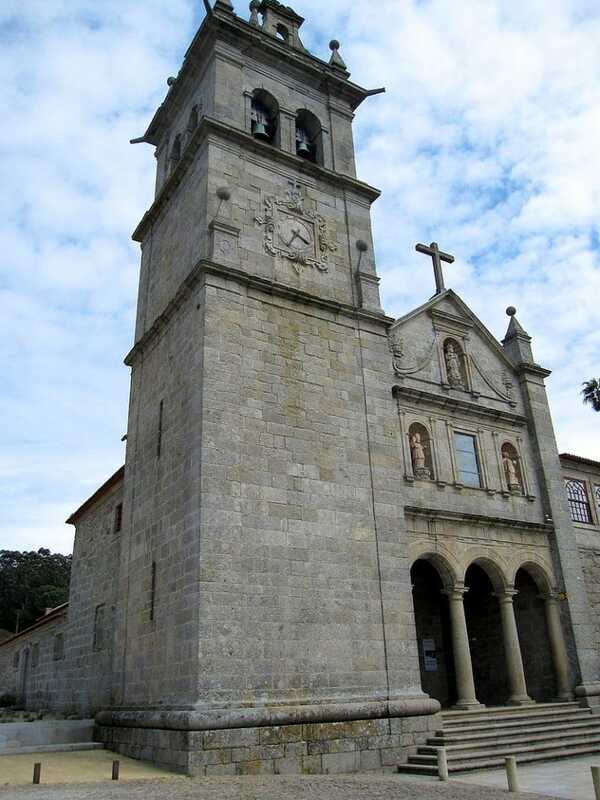 People travel a long way just to see this Romanesque church no more than 15 minutes west of Vila Nova de Famalicão. You might see a resemblance to the Igreja de Santiago de Antas, which was built around the same time. This one was built over a temple was used by the Romans and Visigoths. Masses of 12th-century sculpture has survived here; you can see it on the capitals that support the archivolts in the main portal, and on the stonework inside the building. There are patterned columns, a very unusual arch with human figures carved into it, and capitals depicting beasts. Vila Nova de Famalicão takes great pride in its cultural centre, which has a national profile and very dynamic schedule considering the size of the town. It’s a stylish venue, with two auditoriums, the larger seating almost 500, and staging opera, live bands, dance and plays. There are also weekly cinema screenings, so if you’re in the mood for a night of culture you can consult the schedule and see if anything catches your eye. There’s also the more personal Café Concerto, a bar staging gigs for rock, blues, jazz, stand-up comedy and debates. This 27-hectare public park was only inaugurated in 2012, having been in the pipeline for almost 25 years. It’s worth a wander and a picnic on a sunny day and has extensive grassy areas mingling with poplar, oak, cork oak, pine and willow trees. The park contains a stretch of the Pelhe River and you can stroll on the bath by its banks. The profusion of water has already made the park a haven for birds, with more than 60 species registered here. 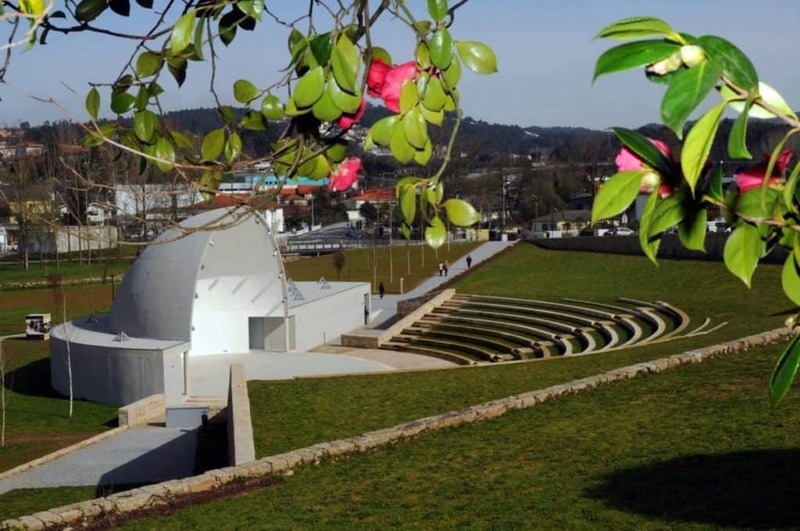 Keep an eye on the schedule in summer, as there are concerts at the 1000-capacity amphitheatre in the park. 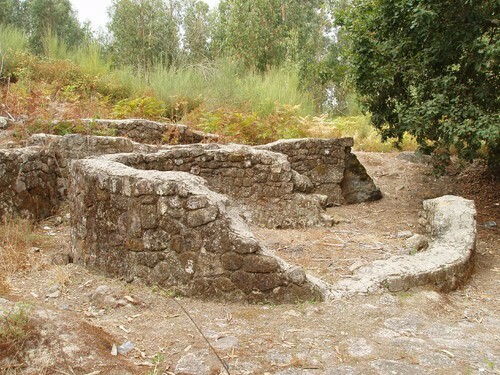 Many hills in Northern Portugal are topped with the ruins of Castros; these were Bronze and Iron Age settlements protected by a defensive wall and normally occupied up to Roman times. Some eventually became modern towns and cities. But many disappeared, only to be rediscovered in the 19th and 20th centuries. Around Vila Nova de Famalicão you can discover three: Castro do Monte das Ermidas, which is the largest and most intact in the area, Castro de São Miguel-o-Anjo and Castro de Eiras. At the last there’s a wonderful “Pedra Formosa”, a monolithic stone with complex Celtic engravings. The last of the local medieval churches is this mysterious little chapel in the parish of Santa Eulália de Arnoso. It could be as old as the 600s, and was rebuilt in the 1000s after being damaged in the Moorish era. At first glimpse you can tell that this is an exceptionally old building, as there are only primitive stone walls no openings except a couple of very slender windows and the main portal. In the portal the capitals, archivolts and tympanum have a geometric design that looks almost Celtic. There’s newer decoration in the nave, with frescos from the 1500s portraying the life of Mary. The fabulous cities of Braga and Guimarães are both inside half an hour. Both will transport you to the very beginning of the Kingdom of Portugal. Braga was the country’s first diocese and has Portugal’s oldest cathedral. Scaling the hilltop Bom Jesus do Monte Sanctuary, Good Jesus of the Mount, is one those things you simply have to do, either via the exquisite Baroque stairs or the 19th-century funicular. Even closer is Guimarães, the birthplace of Afonso Henriques, Portugal’s first king. There’s a hardy castle from the 10th century and the Gothic Palace of the Dukes of Braganza, which would be the royal family from the 17th century on. One of the many amazing things about Vila Nova de Famalicão crazy carnival celebrations every February or March is that they’re a relatively new phenomenon. 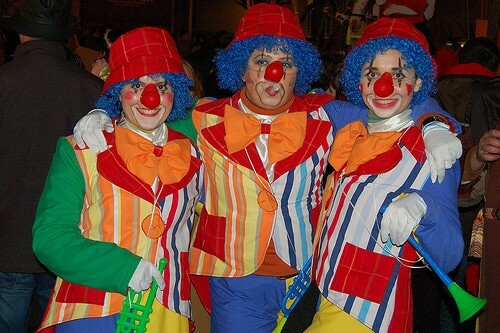 It’s a mass participation event so almost everyone in the town will dress up in wacky costumes for a schedule of themed parades and dances that lasts for ten days. In autumn there’s the Feira Grande de São Miguel harvest festival, at the turn of October when artisans and farmers set up shop in the Praça D. Maria II. And at the start of September you can catch the Feira de Artesanato e Gastronomia (artisan craft and gastronomy), when 150 exhibitors showcase Portuguese popular traditions and great food. If you take the A7 you can be at the coast in just 20 minutes, and the good news is that the first destination you come to is the large conurbation that links Vila do Conde with Póvoa de Varzim. Both are endearing towns with Blue Flag beaches and very different characters. Vila do Conde has a shipbuilding pedigree harking back to the Age of Discovery, and there’s a superb museum and heritage vessel from that era. The lively tourist honeypot, Póvoa de Varzim has its own maritime tradition as a fishing port, but also became an upmarket resort in the 19th century. The Beaux-Arts casino and poveiro sailboats are a lingering reminder of this era. One reason Vila Nova de Famalicão stages an annual gastronomy festival is because food is a big part of the local identity. As well as the fair in September there’s a fortnight at the start of February (Quinzena da Gastronomia) when the town’s restaurants celebrate local food. 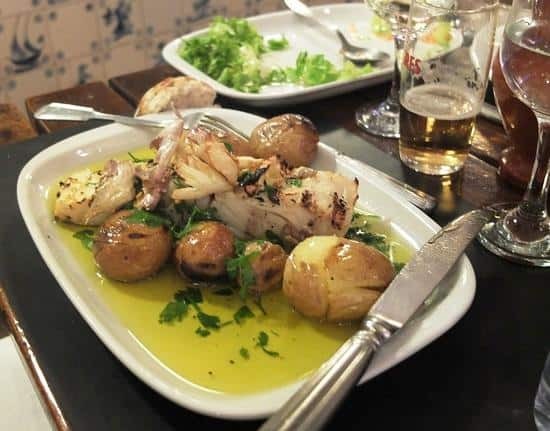 Some preparations to sample at any time of year are bacalhau à lagareiro, grilled cod with sprouting greens, onions and potatoes, roast goat kid or cozido à Portuguesa, a stew made with a medley of meats, pulses and vegetables. Very satisfying in the winter is rojões com papas de sarrabulho, which is fried pork served with a rich, meaty soup.